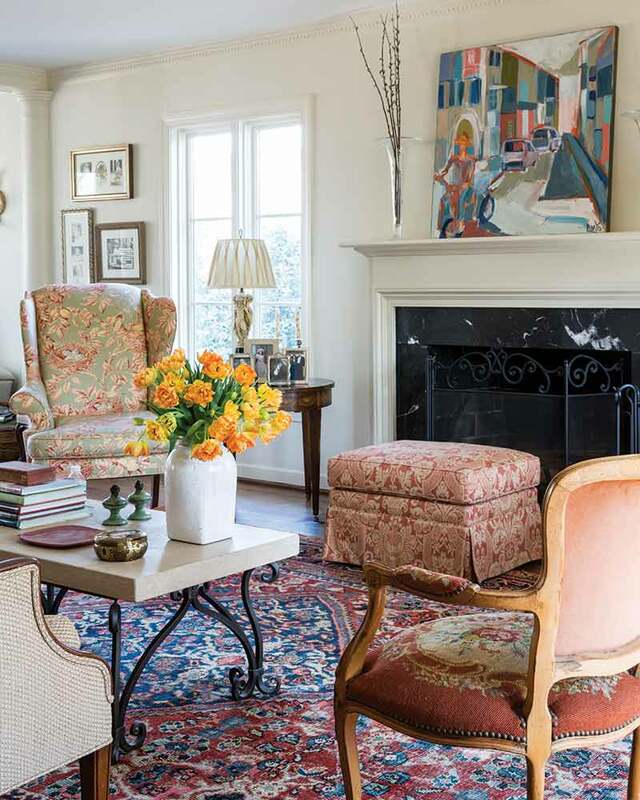 While their living room and kitchen exhibit a comfortable and casual design, the couple’s formal living room and dining room showcase a more classic French style. 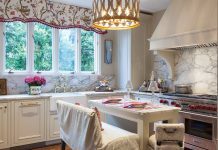 Francie relied on designer Leigh Ann Moor to combine her home’s contemporary furnishings with her flair for French aesthetics. 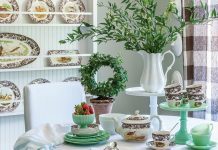 “Seaming the formal and informal rooms that are basically connected posed a challenge,” Leigh Ann recalls. 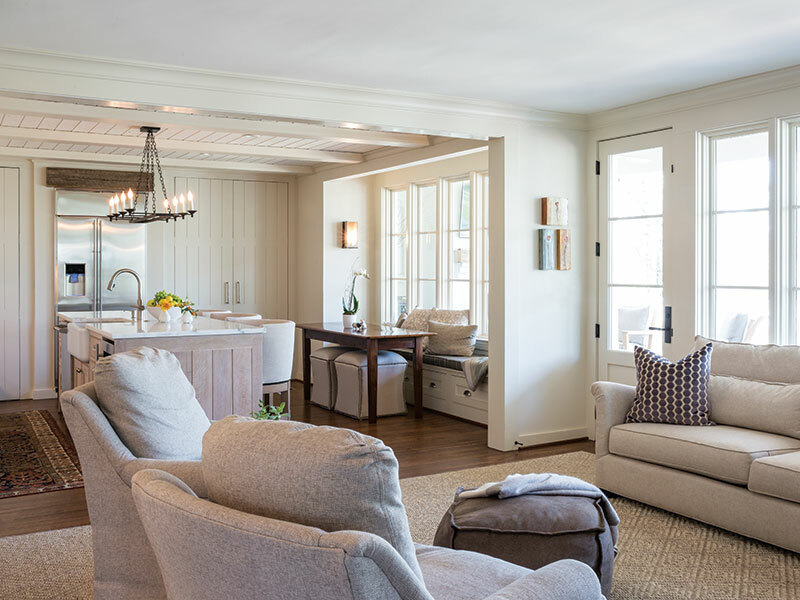 “We didn’t want to distract from the rich colors in the rugs of the formal living room and dining room, so we kept the neutral palette set by the kitchen finishes and used them in the furniture and rugs in the new family den. The neutral palette along with the natural light creates a very soothing and calming space.” The open-concept floor plan allows for a complementary style in both rooms with red furnishings tying them together. 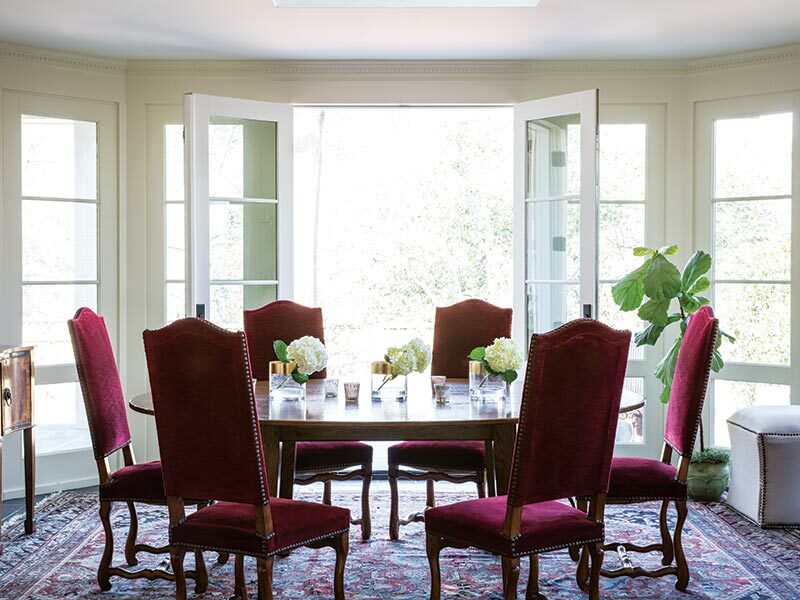 Stately white columns and an ornate molding usher guests into the formal dining room, with two walls of windows and a skylight that allow natural light to flood in from almost every angle. 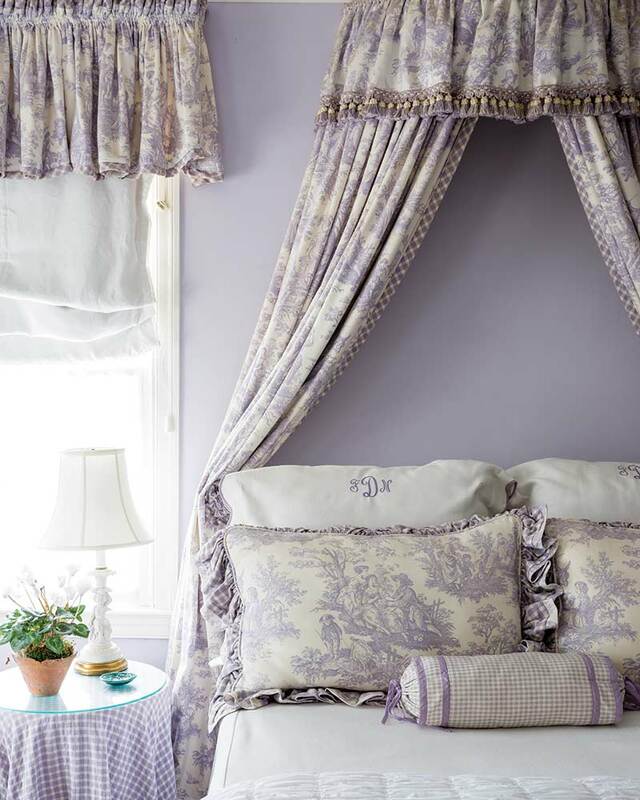 In the Deatons’ daughter Newman’s room, Alison used French toile in lavender to give the space a feminine and elegant feel. A large corona canopy frames the bed while also adding height and softness, and monogrammed pillows add a personalized touch. The monochromatic look extends to the walls and the bedside table, which is draped in a lavender-and-white gingham fabric. 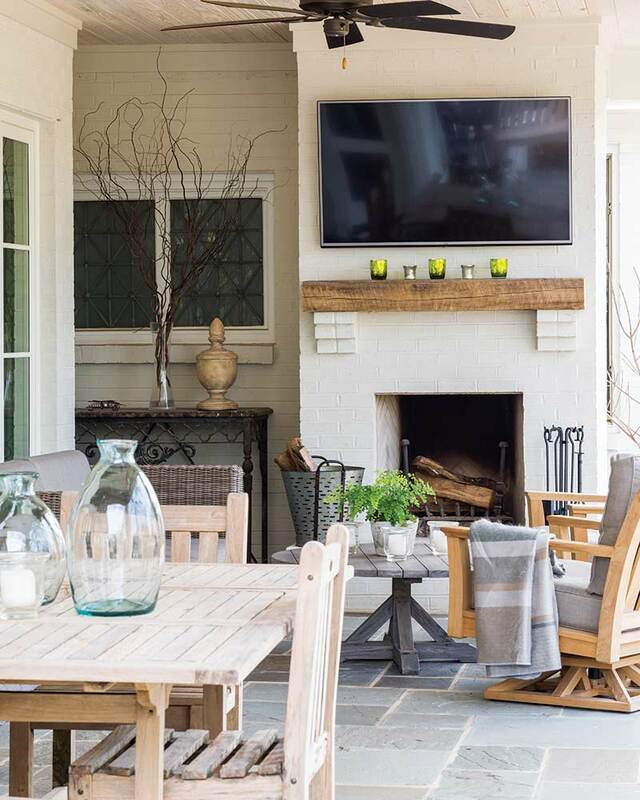 Though the interior of their home is exquisite, the Deatons’ favorite room isn’t a room at all—it’s the back porch. Local landscape specialist Holly Camp assisted with the overall design of the outdoor escape. 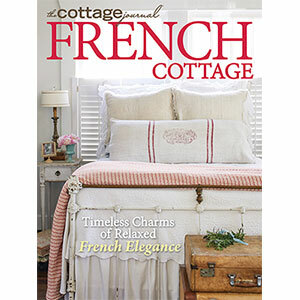 “Our favorite room hands down is the covered porch with the fireplace,” Francie says. 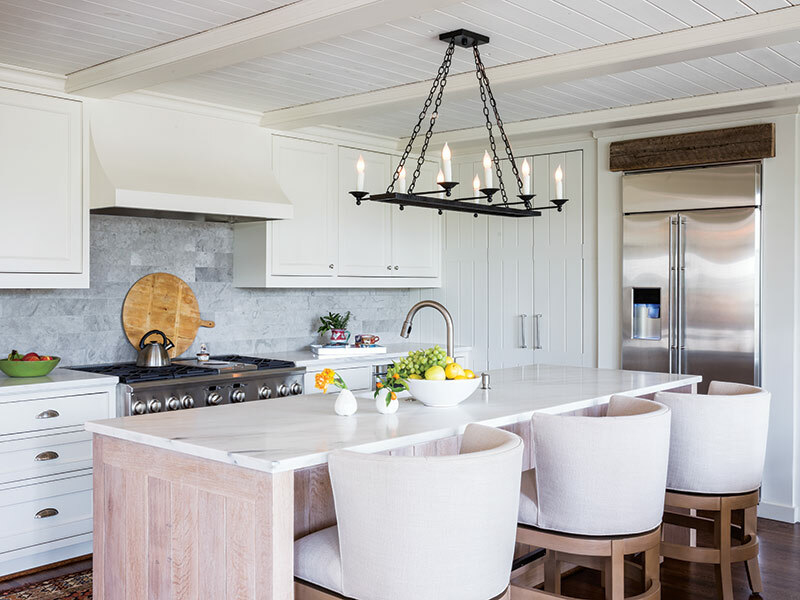 “We start and end our days here.” And with a dining table and cozy seating nook complete with a fireplace, it’s easy to see why the family loves the space so much. Want to see more unique French-inspired homes? Check out this special issue by clicking the cover below!